Kid Cudi has been bitten by the acting bug before so this actually comes as no surprise. 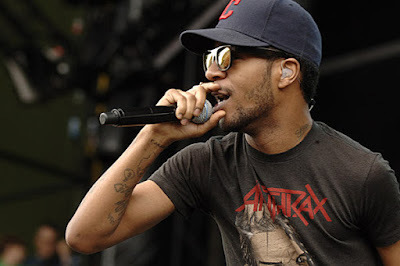 If anything, Cudi deserves a congrats for his new role in the hit show Empire. The rapper will have a recurring role on the show playing a rapper by the name of Gram. Kid is going to be playing the rival of Hakeem Lyon (Bryshere "Yazz" Gray). The creator of the show Lee Daniels definitely knows how to keep the cast interesting. He always seems to throw a few music artist on the show from time to time, which adds the right amount of umph! Kid Cudi probably won't have to work too hard considering that he is already in his element. We will have to see how the beef will play out between his and Hakeem's characters though, especially since Tiana (played by singer Seryah) will be in the middle of the drama. If you don't watch the show, Tiana is Hakeem's ex but will have ties with Cudi's character on the show. Cudi won't be the only music artist to make an appearance on the show, French Montana will also make a cameo on the show. Empire's season 3 is set to premiere on September 21 at 9 p.m. est. The rapper is also set to drop an album sometime this year titled Passion, Pain, and Demon Slayin'. Congrats again to Kid Cudi for his success in the acting world!